The first divorce because of the rail scandal? It is almost exactly six months since I had a conversation with a member of Southern Rail's staff on a station near where I live, and it set me off blogging about the mystery of what exactly was going on with the local trains. My surprise when more than usual numbers of people read the blog soon turned to horror and then fear when those numbers mounted, and suddenly nearly 100,000 people had read it. My original blog was based on the original conversation, which wasn't entirely accurate. It took me a month's work to find out what was actually happening, and since then the numbers of readers have spiralled again. You can read what I discovered in my short book on the bizarre Southern scandal, Cancelled!. What I seemed to have stumbled on was a scandal that the conventional media preferred not to cover. The Euro referendum was going on at the time and, anyway, most journalists are no longer at ease covering industrial disputes - it feels too much like covering divorces. Thanks partly to the courageous and innovative efforts of the women behind the Association of British Commuters, which has formed itself into a formidable campaign group around the epicentre of the muddle (Brighton), the world is now watching. Or at least the politicians and the media are. But all that seemed irrelevant to me last week when I heard about the first divorce I've come across because of the failures of the train franchise. The couple have a baby and the husband is so late so often that the marriage could no longer take the strain. Public services can do that kind of thing to people only in certain narrow circumstances - as Mid Staffs did to its elderly patients. It happens when government prefers not to look at facts to the contrary and managers and commissioners are not looking either - because they are focused exclusively on achieving some objective specified by the minister or the Prime Minister. This kind of devastation only happens when those involved get caught up in a doublethink worthy of George Orwell. They become like the Bourbon princes, of whom it was said that they forget nothing and they remember nothing. That's the Department of Transport. They represent the triumph of hope over experience. When you do the same thing over and over again, it is unlikely to have a different effect. That seems to be the message also of the chief executive of Brighton and Hove Albion, furious that Southern cancelled trains home from a recent match, which meant that some fans had to sleep the night in the station. Now we hear that the Department of Transport has decided to protect Southern's operators by assessing them on all three contracts that make up the GTR operation, so that Southern's failings are to some extent masked. Bizarre that a government should collude like this, or that a Secretary of State (King Log) should regard this as doing his duty to service users. Apparently he doesn't seem to have one. Because the truth is pretty clear. The government will not put GTR out of its misery, and support the Southern rail users, while they are in dispute with the rail unions (and now the drivers are coming out, which will put off any kind of resolution even longer). Roll on the court case, And I thought the ABC's letter to rail minister Paul Maynard today hit the nail on the head, Bang on. And if you happen to be an MP reading this, please ask the government when they will be making the report and advice from their expert Chris Gibb public, so that those most affected by Southern can also have the benefit of his advice too? See my book Cancelled! 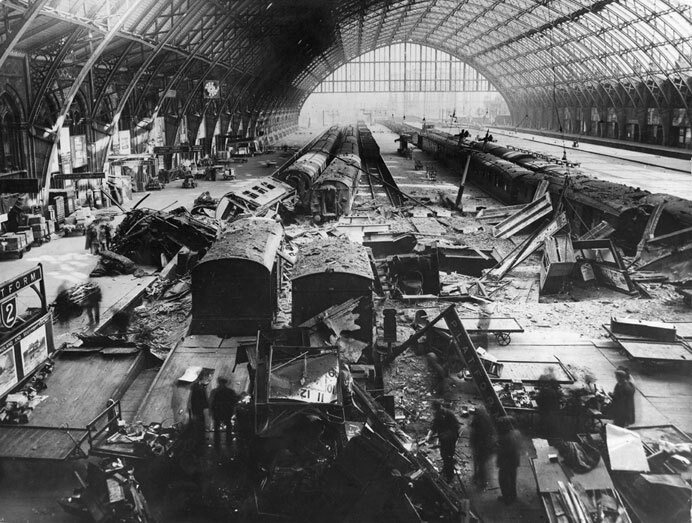 on the Southern Railways disaster, now on sale for £1.99 (10p goes to Railway Benefit Fund). Do we really want the BBC to be completely unbiased? There is no doubt that, just at the moment, voters tend to want change. Perhaps that is too obvious even to mention, except that it happens to coincide with a period when the Left doesn't seem to want change at all. Where they do want it, it is either symbolic - pulling down offensive statues of Cecil Rhodes, for example - or it is just going back to the policy assumptions of a generation ago (rail nationalisation, the return of the CEGB). It is a reversal of the way the world ought to be. But when the most conservative political force around is the Left, it might perhaps provide some explanation for recent electoral peculiarities (if you could call the Trumpbrexit that). This is really a way of saying that I have been reading an excellent critique of the history of the BBC. And what a relief it is to read someone radical who is not embracing existing institutions, trying to keep them exactly as they are now. 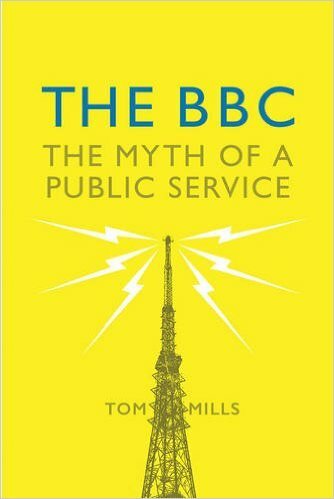 The book is called The BBC: The Myth of a Public Service. The author Tom Mills would I'm sure be the first to recognise that parts of the BBC manage to operate in a challenging and innovative way, but argues that - despite the debate about independence - the BBC is largely under the control of the establishment and it reflects their rather dull and unchallenged opinions. And he's right. "Power became more centralised, professional decision making became more marketised and working conditions were made more precarious. Meanwhile, as most found their freedom curtailed by neoliberal bureaucracy, a largely Oxbridge-educated elite retained its decision-making powers and the salaries of those at the top sky-rocketed..."
The problem with the BBC isn't that it is biased. Or that it doesn't make strenuous efforts to avoid being so. It is that, so often, it is unable to lead debate or challenge entrenched opinion or look forwards. Because that would require an independence of mind that it simply doesn't have. 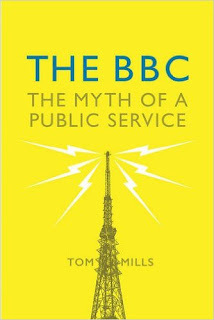 It is peculiar that the BBC has kept its huge reputation for truth largely because of the brilliant and deeply controversial success of the BBC European Service in the Second World War, when that part of the BBC was actually under the direct control of the Foreign Office (see my book V for Victory to read this peculiar story of individuals making a difference). It is a paradox. None of this should suggest that we should abolish the organisation and hand us over the Fox News - my only two queries for Tom Mills are that he uses the term 'neoliberal' far too much, and that he doesn't go very far towards setting out an alternative to the way the BBC is currently structured. Otherwise, it's an important and readable book. Churchill used to say that you can't be unbiased between the fireman and the fire. He said it during the General Strike in 1926 But there is a distinction between the truth - which is absolutely vital - and a commitment not to take sides over anything, which is basically amoral mush. It may be one of the reasons government in the UK has been so staggeringly stuck. So why don't we debate these things? Because, as usual, the Left prefers to keep tight hold of nurse/for fear of finding something worse. When you find yourself in a dark tunnel, don't go backwards - hurry towards the light ahead. Listening to the radio a few days ago, I heard an American interviewee said that he could not believe Trump was president, I was suddenly cast back three and a half decades to an evening in November 1980. But I can't believe Ronald Reagan is president." I felt, just for a moment, a relieving sense of deja vu. We survived Reagan, so we will survive Trump - though I accept that we only just survived Reagan, and also that the perils of Trump are more complex and unpredictable even than the perils of Reagan. Yet in both cases, the election was a sign that the world had changed. We could have sat around clinging to the old world in 1980, that it would only have hindered the development of a better way forward. To understand a little of what is happening, I have started reading Nick Clegg's new book Politics, which is a good deal more honest, thoughtful and insightful than some of the rather mealy-mouthed reviews suggested. The only thing I really disagree with is the sub-title ('Between the extremes'), I believe extreme change is now urgent - I just don't want the conventional extremities represented by May, Farage and Corbyn. But there was one insight early in the book which seems to me to cast light on what happened in the USA, one of those peculiar revolutions that appear to stem from people demanding less power. Clegg says that he interprets the strange, dreamlike period during the 2010 general election which saw his popularity soar - known to journalists as 'Cleggmania' - as the first symptom pf the populist revolution which has sprung the nation from the European Union and swept Trump to power, and seems only in its early stages. If this is correct - and I think it is - then a number of implications follow. First, the populist uprising has nothing to do with identity politics (Hispanics swung to Trump compared to 2012) and everything to do with the frustration with a political elite that seems dedicated to making very little happen. That sounds like an insult, but it is based on what seems to me to be an important point. The last four decades have been dominated by an economic ideology which suggests that governments should do nothing but wait for a rather narrow and authoritarian interpretation of the market to rule instead. I should explain that I believe in a free market, not what we have at the moment, a rigged market for the very wealthy, which has made a few people staggeringly rich, but has squeezed the rest of us - and dangerously so. There seems to be a catastrophic loss of belief in our existing, exhausted institutions, which preside over the apparent powerlessness of the political elite. Second, it implies what will happen to Trump and those like him when their inevitable compromises or economic incompetence becomes apparent. They will go the same way as Cleggmania, and very quickly. Or, in Trump's case, end up printing money to avoid it. Third, that moment of disillusion is very dangerous. It means effective solutions need to be ready, thought-through and capable of speedy action. As Keynes said to Mosley, not to help the populists but to "save the country from them". Fourth, those politicians which avoid this duty, and which cling to the failed institutions - claiming that people have been deluded and were conned into voting the way they did - will quickly become irrelevant. For that reason and others, the current Lib Dem position on a second referendum is patronising and disastrously wrong-headed. I hardly know anyone outside the Westminster bubble who wants to vote again. Quite the reverse. 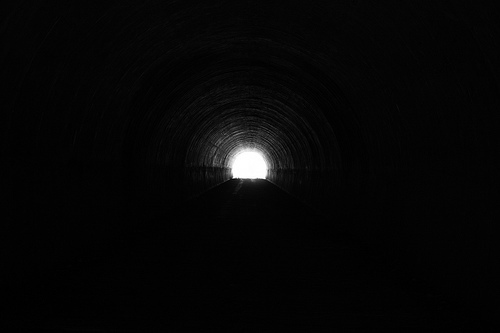 When you find yourself inexplicably in a dark tunnel, you head as fast as you can to the glimmer of light ahead. You don't faff around looking for how you got in, and demanding some kind of appeal..
Because the advent of Trump, not to mention the new gang in charge in the UK, implies a far more urgent duty. The old world is over. We need to work out what an effective new economic dispensation will look like. How do we genuinely spread prosperity to everyone, not just the Trumps? A political solution awaits an intellectual solution. Not how many yellow balloons we can blow up. Not how we can redesign our party logo. And the longer we delay it, the more perilous our civilisation becomes. The extraordinary furore about whether or not wearing a poppy is political, brought to us thanks to Fifa, sort of obscures the main issue for me about poppy-wearing in general - that it has become, this year at least, a rather more intolerant and raucous example of groupthink than usual. It never was raucous before. Poppy-wearing was a rather restrained, English way of expressing collective grief (and more complex aspects of Englishness: see my book How to be English). It is part of my heritage. My grandmother lost a father, three uncles and a brother in two world wars. In some ways, the first death - my great grandfather, leading the Black Watch into action at the Battle of the Aisne - still casts its shadow over us today. But I have felt uncomfortable in recent years that everyone in the public eye, every newsreader, every politician, has to go through the motions by wearing a poppy. This feeling of discomfort has increased this year by a slight edge of aggression about the whole thing. Sarah tells me a group of youths rushed through her train last week, shouting: "Where are your poppies?". Because when yobs start chanting their insistence on the outward signs of national consciousness, it scares me a little. As if wearing a poppy was a necessary proof of patriotism in Theresa May's Britain. The point about Remembrance Day appears to have been lost. It isn't supposed to be about the show. It is about giving to charities that support people wounded in war. It is about remembering the dead and the wartime generation, and making sure it doesn't happen again. I'm doing all of them this year - but I'm also emphasising my Englishness by not actually wearing my receipt for having done so. I will not be ticked off on their checklist by the Brexit police. Nobody could be more patriotic than me. I'm happy to wave union jacks on royal occasions and will continue to do so, until it becomes compulsory. 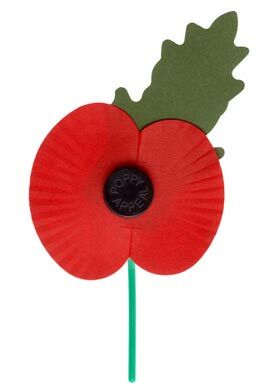 But I'm not going to be bullied into wearing a poppy. Let them slip me a white feather if they dare. This whole business seems to go with a coarsening of public discourse on both sides of the Atlantic, as it seems at least possible that Donald Trump may be president-elect by midweek. But don't let's make assumptions about particular political positions. I'm far from sure about the current position of the Lib Dems on Brexit. I voted Remain, but I am coming slowly round to backing a hard Brexit. My reason for doing so will only be accelerated if Trump gets anywhere near the White House. It's that, as so often over the past generation, my fellow Liberals are clinging to a worn out economic past. In a world where the reasons for growing intolerance are obvious - the flaws in an economic system designed to create billionaires, when everyone knows that their wealth barely trickles down - the sooner we dispense of the trappings of the old economics, the safer we will be. Of course, I may be wrong about how this should be done. But I'm inclined, as soon as possible, to wave goodbye to the Single Market. Goodbye to TTIP or RBS. The sooner we can construct a UK economy here based on small-scale businesses with a level playing field, where everyone can share in the prosperity they create, the more chance we have of escaping the looming darkness. Most of all, let's stop pretending that the old world was working, before we get Trumps popping up everywhere, seeming to tell the truth. My reasons for this feeling of unease about Europe are in my book (with Joe Zammit-Lucia), The Death of Liberalism? This seems to me to be a moment where Liberals need to take a stand - not to defend our struggling, hollow institutions - but to build new ones, and make sure they are genuinely Liberal. We also need to be able to see beyond the outward signifiers, like poppies, and to reject them when they get tyrannical. I admit to feeling uncertain about all of this, but uncertainty seems to be a pretty healthy reaction right now when, as Yeats put it, "the worst are full of passionate intensity". It is a peculiar aspect of the Southern Rail fiasco that so many of their staff and managers, at least the ones I come across, are not just extraordinarily patient – they are also very nice people. I can’t say I have actually met the chief executive, Charles Horton – though I have seen him in the distance at an ill-tempered ‘meet the public event’. Nor did I ever really make friends with their former chief operations officer Dyan Crowther, now gone on to calmer waters, who was not fond of me, I understand. But I ended an infuriating three-hour journey from London to Shoreham on Tuesday night watching two local managers facing down the enraged commuters with calm and courage. One young woman, shaking with rage, even threatened one of them with “blood on the rails”. You can see why they are enraged of course. They have to pay through the nose for their season tickets to be messed around night after night. But what really twists the knife is the failure of senior managers and ministers to come clean about what is very obviously going on. Govia Thameslink is obsessed with their battle with the unions, as if it was union action that has caused the staff shortages – or the job losses among platform staff, or which have removed people from stations. 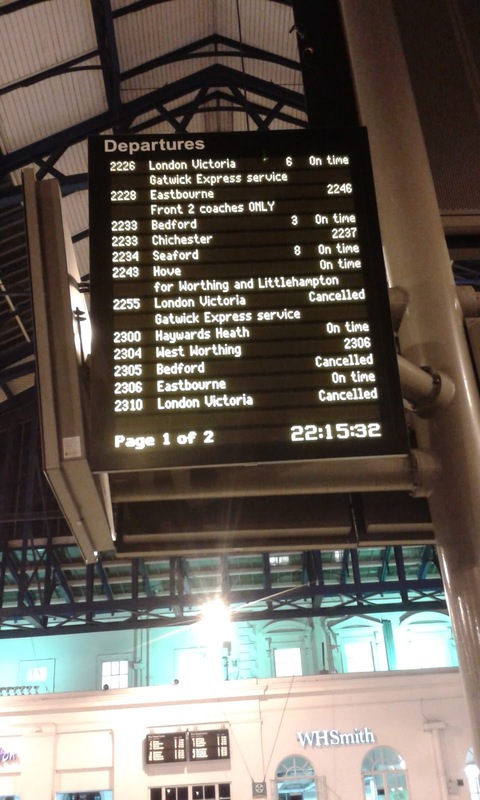 They might have done better obsessing about the failures of Network Rail to invest properly in their track, the lack of which was the reason services to coast ground to a halt yet again on Tuesday evening. 1. Their failure to recruit enough staff to run the railways, forcing them to rely in overtime, which can never be forthcoming in the numbers they need. 2. The ridiculous contract with the Department of Transport which gives no incentives for GTR to improve the service (they get just 3 per cent of ticket sales) – and encourages them to cut costs to the bone instead. 3. The bizarre way in which the decisions are taken – not by GTR managers but by Department officials and Go Ahead accountants. Neither of which (sorry, Jeremy Corbyn) are very good at running railways. You can find out more of this strange story in my short book Cancelled! I know that. The managers and staff know that. So why does the transport minister Chris Grayling, King Log himself, continue to pretend that this is all somehow explained by industrial action – which doesn’t help but is not the cause. Because he feels as hemmed in by the Treasury, and his own cabinet colleagues – for whom he has to perform and to stand firm against union ‘militants’ in the required way – and accepting the real reason why the rail services unravelled would simply open him up to ridicule. At all costs, the Department seems desperate to prevent that narrative seeping out. The strikes came in that respect in the nick of time. So here’s the question. What do service users do when a service is appalling, is undermining lives, and nobody in authority will come clean and accept it? When the contracts remain secret, and the actions taken to hold contractors to it are secret too? What do we do – short of overthrowing the government, and there’s no guarantee that would change the regime at the Department of Transport even if we did? What can we do if the privatised services which were suppose to bring fresh air and flexibility to our public services have actually remade them in the most Soviet, inflexible style? But there is an interim answer. I see that the Association of British Commuters, launched within the last few months by two energetic and creative women from Sussex, have not just raised enough money from the rest of us to retain a legal team – they have now outlined the case against the government. If this works, and it may well work, then crowdfunded legal actions against the departments that are protecting indefensibly bad services, may be the way forward. All Whitehall needs to do to avoid the real rage is to be honest and to say what can and can’t be done – and not to convince themselves about packs of old nonsense like the so-called ‘sicknote strike’. If it wasn't so enraging, it would be amusing. But this is what happens when you feel you are not just being messed about, that you are being patronised and lied to, by people who have convinced themselves of something which is clearly not true. So tell me, Mr Grayling. 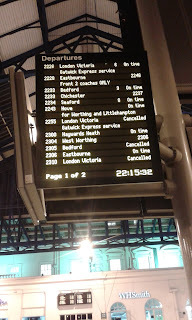 If it is union action which is causing the problems, how come the service is more reliable during the strikes? (Today so far: 29% more than 10 mins late or cancelled).